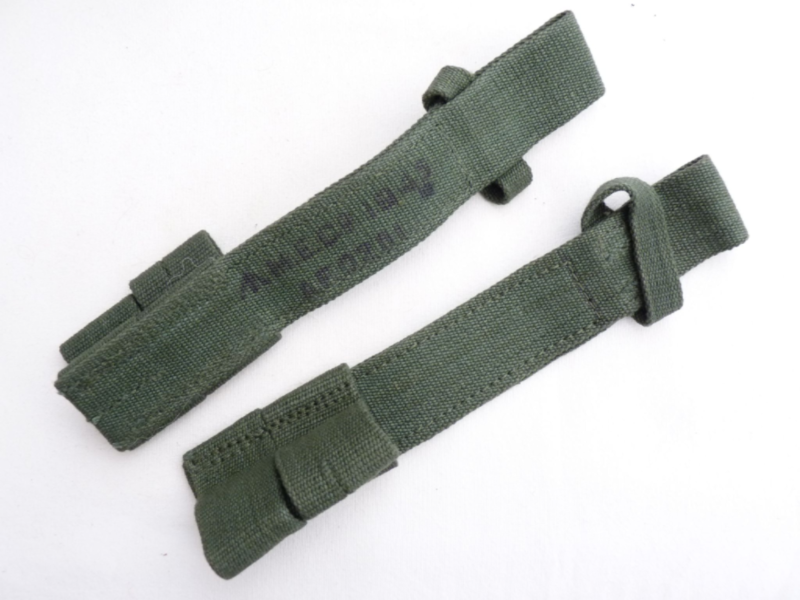 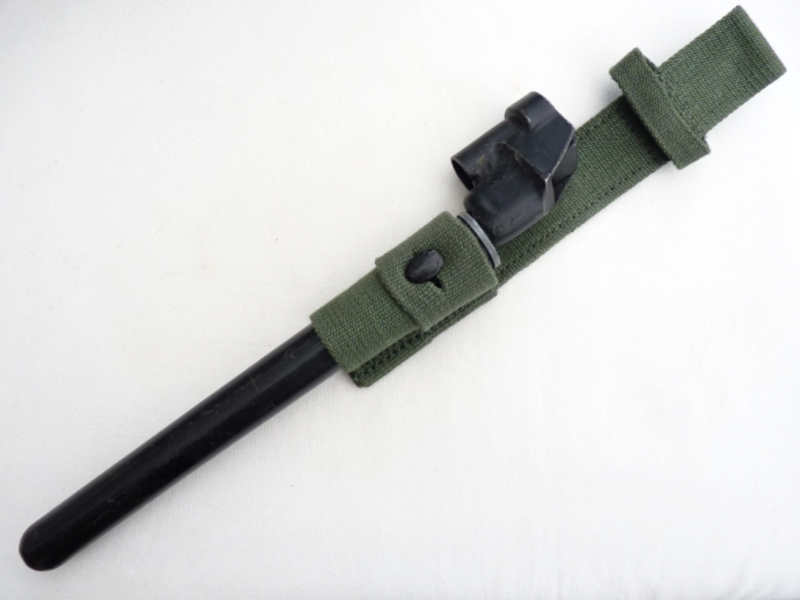 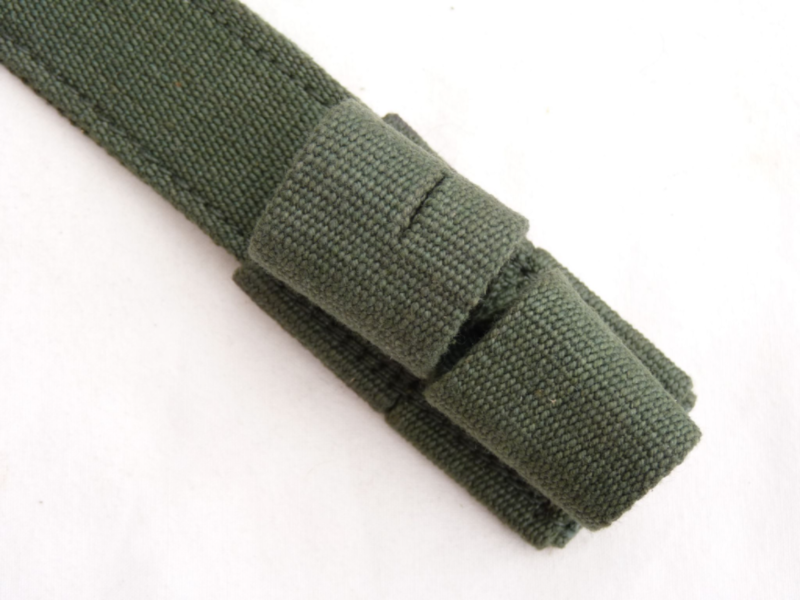 This is a genuine webbing frog in jungle green, specifically designed to accommodate the higher frog-stud of the no4 spike bayonet, and also the lower stud and larger retaining loops for the wider no5, 7, and 9, and SLR scabbards. 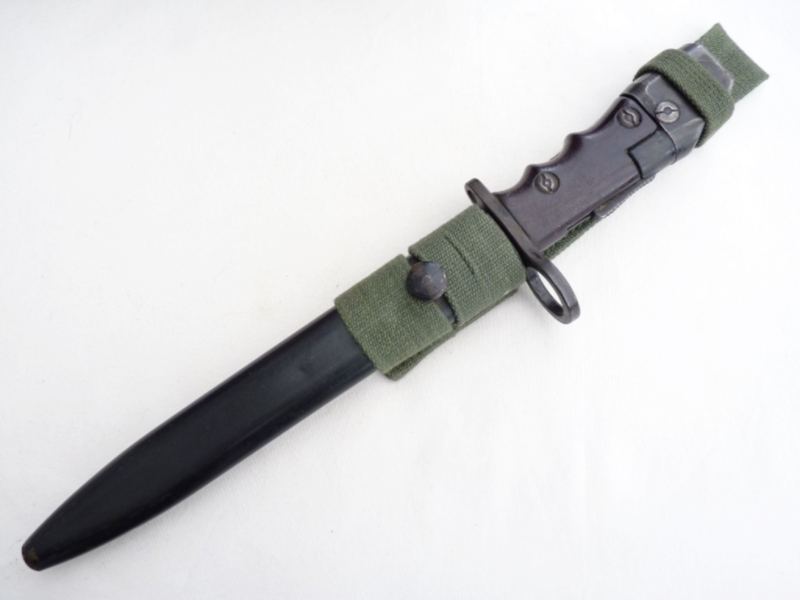 A bit too tight for the pattern 1907 bayonet. 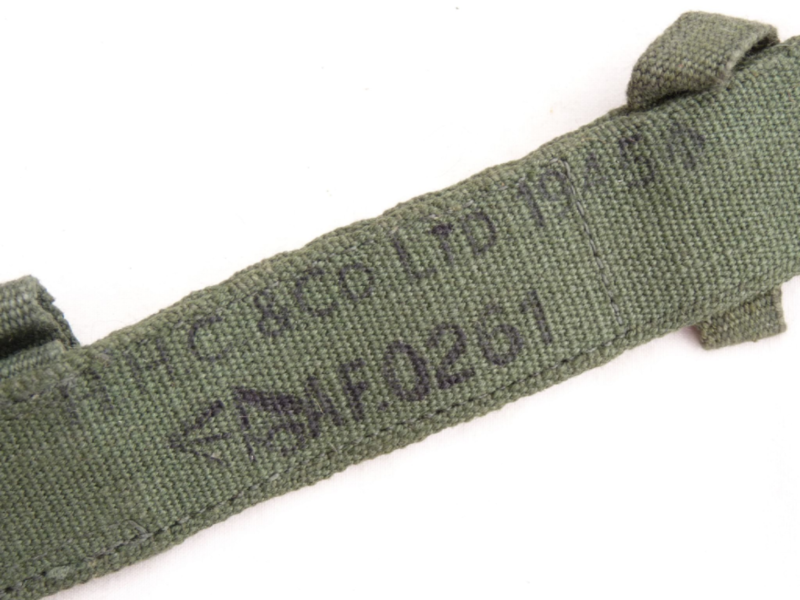 In new, unissued condition, a lovely snug fit, and maker/date marked to rear.